Finding flies in between breaks in the Bugaboo's notoriously fickle weather. This is the last exciting shot you'll see until the end of this post--but if you want to see exciting views, you've got to be able to put up with the rest! Frogs aren't something you see on summits. Regardless, with the high-altitude climbing season well underway, they should serve as the inspiration for any aspiring summiteer—and also as a useful guide in the lower elevations. Consider the frog, sitting on its lily pad: If there are no flies nearby, there is nothing to do but sit and breathe. Impatiently swimming circles around the lily pad would only scare flies off...and there is no use trying to chase down a fly if you are a frog. So nothing is done, save sitting and breathing and waiting. Yet, all that “nothing” is a powerful, purposeful something. It is preparation for the precise moment when the fly does arrive. Suddenly, our squishy friend becomes the picture of complete readiness, focus, and action: Frog-tongue-fly-mouth. Task dispatched, it's back to sitting, breathing, and being ready. This is why the frog is the perfect—if improbable—guide for climbers, the symbol for what we should aspire to be at elevation: Complete action when the moment is ripe, complete repose otherwise. For climbers, the tight confines of a wind-battered tent, filled with a crushing pile of gear, and stinking tentmates becomes our lily pad. And if the weather clears it becomes the launch pad. But when the mountain coldly commands us to wait, there is nothing left to do but sit and breathe and be. It seems easy, but paradoxically, this is a crux for many drawn to the mountains. While summits have little value outside of the climbing economy, save for the occasional cocktail conversation, climbers nonetheless seek this currency. In its own odd and useless way, climbing culture is goal-oriented and its population is driven. One one end of the spectrum are “dirtbag climbers” living in vans, flush with time, but dedicating every dollar to the next expedition. And then there are the “corporate climbers,” used to crushing office hours and squeezing training for high-altitude achievement into any spare moment. 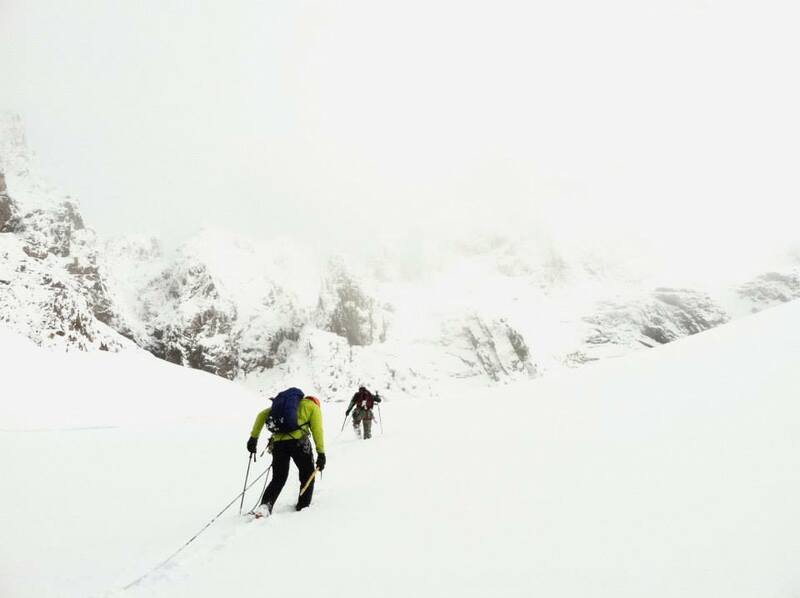 Over my years as an alpine guide, I have come to see that the vertical world presents this latter group with a peculiar challenge, for little in their training or in their lives has prepared them for the subtle craft of doing nothing. It is contrary to everything they think life has taught them: Namely, that progress is made by doing something. In fact, often one must do several somethings all at once, if perhaps poorly—what modernity calls “multi-tasking.” Eating is done while meetings are done while emailing clients. Life in lower-altitude, higher-pressure environments has taught them that this is how progress is made. Like a frog on the lily-pad. Out-chilling the chill. This approach has its own set of hazards in the lower elevations; taken into the higher atmospheres it can become positively deadly. With thin air and fickle weather, progress happens at a pace the mountain dictates. Violate those dictates and die. With a storm raging outside, sometimes the only thing to do after breakfast is to wait for lunch. There will be no clients to email during this lunch...only you with your dwindling salami slices and—after conversation with your tentmate has petered out like the terminus of a glacier, and the crackers are long gone—you with yourself. Success on the climb means becoming comfortable with your self doing no thing. ...we tented in the fog and awoke to find this view in the morning. At this point, the counterintuitive logic of “frog-style mountaineering” comes into play. Accomplishing the goal becomes dependent upon an ability to frame the goal in a way more suitable to the mountain world. Antithetical to modern culture, progress becomes measured in terms of an ability to be still, in body and mind. Within the tight confines of the tent an object lesson is offered to each of us: “You are not in control of everything. Simply control those things you can and let go of the rest.” Slice some salami, squeeze the empty mustard bottle one more time, sit, breathe, and wait—perfectly accomplishing nothing. This is precisely what climbing is about: action when appropriate and doing nothing well. And—if our climb is truly successful—we will carry this approach with us back down to the valley. Kel Rossiter guides globally with Rainier Mountaineering Incorporated and Adventure Spirit Rock+Ice+Alpine Experiences. He is an American Mountain Guides Association Certified Alpine and Rock Guide and holds a doctoral degree in Educational Leadership & Policy Studies.. Located in the most popular alpine arena in the North Cascades--Boston Basin--the Quien Sabe Glacier is rapidly diminishing. 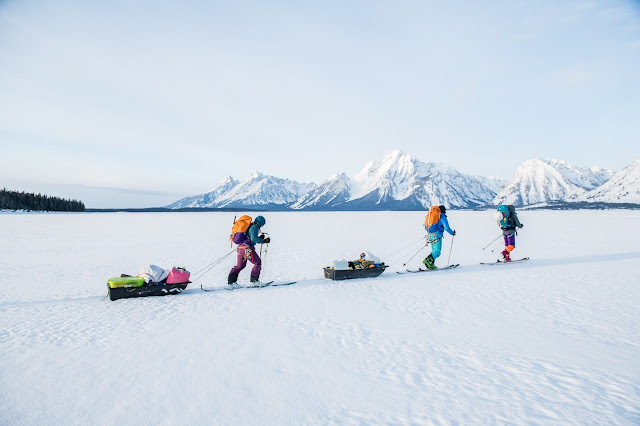 National Geographic writes that "Guides are portals to the outdoor world." Mountain guides are portals to the glacial world and today they are on the front lines of climate change, threatened both economically and physically by changes in the mountain environment. Through their daily connection to glaciers and their interactions with client-climbers, guides are uniquely positioned to communicate about climate change in mountain environments and to take a lead in creating a healthy future for both mountain guides and all mountain enthusiasts. Gazing into the lens of past ice seasons and considering what is in store. The second edition of our popular title, Bow Valley Sport, has just been released and is available on our website, quickdrawpublications.com. The Bow Valley is arguably the best climbing area in Canada for summer conditions and the vast limestone cliffs provide superb face climbing at every level. 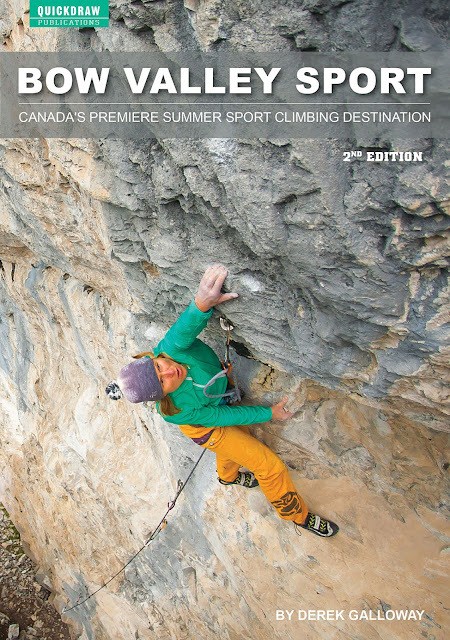 All the best areas are found in this book, including pocket-infested 5.8s at Grassi Lakes, immaculate 5.10 quartzite face climbs at Lake Louise and physical 5.12-5.13 overhangs at the The Lookout. 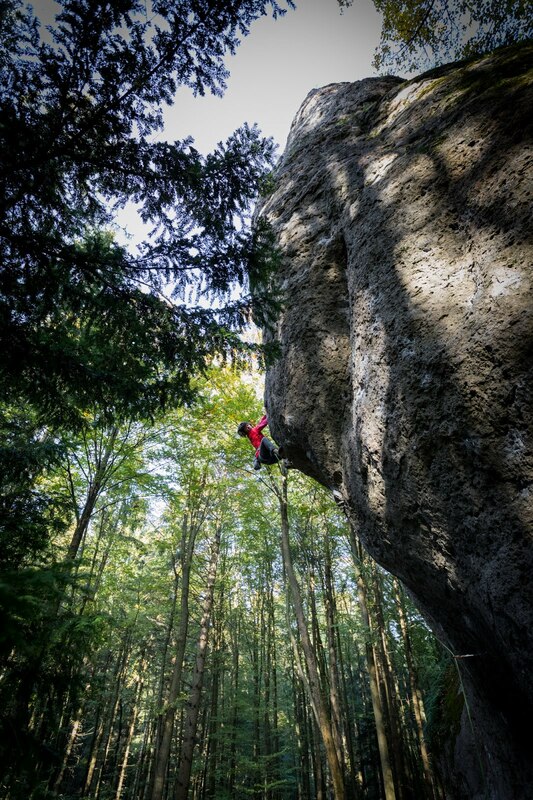 Round this out with some superb multi-pitch sport climbing and you've got a great vacation on your hands. But don't just come to the Bow Valley for the climbing. Enjoy wildlife viewing, alpine hiking and refreshing swims in one of Canada's most gorgeous mountain environments! Irene Tos on Stepping Stone (5.13b) at The Lookout. Photo: Greg Tos.